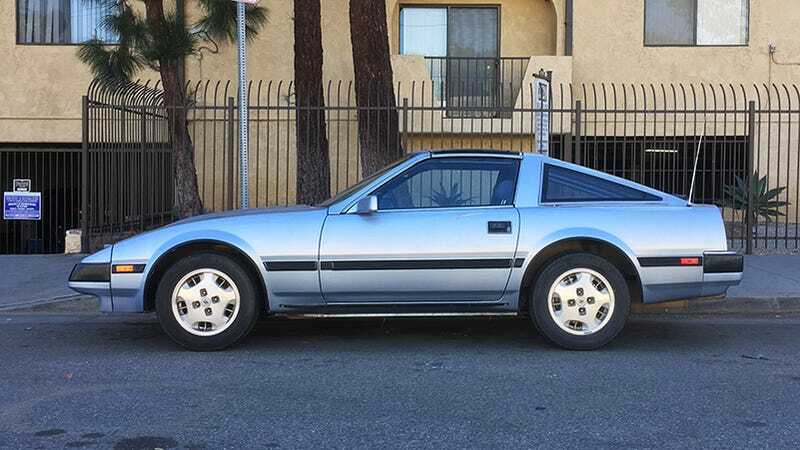 Last month I sort-of inherited this 1984 Nissan 300ZX with more than 200,000 miles on the odometer. It’s in remarkably good condition for an almost-free car, but the issues it does have are not things I’ve ever encountered in other old cars before. Here’s the thing about my old $100 Z: it’s weird, but none of the problems are like David Tracy-levels of overwhelming. Nissan 300ZXs of this vintage had a now ridiculously dated-looking digital speedometer as an option. It’s pretty much a physical manifestation of synthwave music, but it’s also prone to failure. Thankfully my car doesn’t have this option, and the dials are very basic analogs. Sometimes, usually right when I fire the car up, the speedometer will wiggle and wave all over the place. 5 mph. 40 mph. 10 mph. Then suddenly, woo we’re going 100! All this before the actual car has exceeded a walking pace. Is a cable frayed somewhere? Something not fully-threaded? I’ve seen wobbly and non-functioning speedometers before, but intermittent random jiggling is a new one for me. Suggestions welcome here, Z people. Most turn signals work pretty simply: move the stalk down, the car blinks at a reassuringly consistent cadence. CLICK-click. CLICK-click. CLICK-click. In this car, left turn-indicating seems to be working fine. But if you try to signal a right turn the bulbs go rogue, like: Click. Cliiiiiiiiiiiiiiiiiiick. Clickclickclickclick. Clk. Cl...ick. I thought a bulb or a relay had been fried, until the issue healed itself. I made no attempt to fix it, yet it’s started working as normal again. And I’m left wondering what the gremlin that broke the blinker in the first place will get up to next. The only really inconveinent issue the $100 300ZX has exhibited is a chatter at low speed in first gear. The car really wants to buck wildly unless you manage the clutch/gas balance very precisely, which I’m convinced is not the way the car is supposed to work. A local mechanic specializing in Zs agreed with me. The clutch slave cylinder was leaking, but we replaced that and the problem persisted. I thought perhaps the clutch itself was worn, but it doesn’t show any other signs of slippage. As for the gear itself, I don’t know about that either. It drives fine once the hand-off has been completed from neutral to first gear. The rest of this Reagan-era sports machine’s problems are pretty standard. Valve cover gaskets leaking into the filthiest engine bay I’ve seen in a long time. The most horribly sun-deformed dashboard in California. The strange afore-mentioned lights and gauge issues. The radio antenna doesn’t retract. Dome light cover is missing. Radiator hoses look a little suspect. Same goes for the fan belts. It’s right up on Nissan’s recommended timing belt change interval. If you’ve ever spent any time dealing with older cars, you might notice that pretty much everything on this list, with the exception of the timing belt, is mercifully minor. It’s not too often you start on a desert-found project car and bother to put “needs a dome light cover” on the punchlist because there’s usually way too much other stuff to worry about. But, so far, this car seems to have been ridiculously well cared-for. That said, I have a feeling that if I start to push the car to its limits and heat up all its old rubber, things will start to go sour pretty quickly. Good thing I’m too cheap to drive hard, anyway. The next step in my “restoration” is to detail the whole thing, inside and out, and then I’ll probably stance it. (Kidding.) Maybe just Plasti Dip the wheels. And I think I saw an LED muffler tip in the waiting room at AAA the other day, maybe I’ll see if the company that makes those wants one reviewed.